Veterinary Specialist Care is a mobile internal medicine practice, providing advanced diagnostic ultrasonography, endoscopy and case consultation by Dr. Keith Kremer, a board-certified small animal internal medicine specialist with over 29 years of clinical experience. Dr. Kremer has operated a veterinary referral practice in the Hampton Roads area for over 20 years. He has cared for thousands of patients that have been referred for many serious medical problems and procedures. He estimates he has performed 25,000 – 30,000 ultrasound evaluations and hundreds of endoscopic procedures over his career. 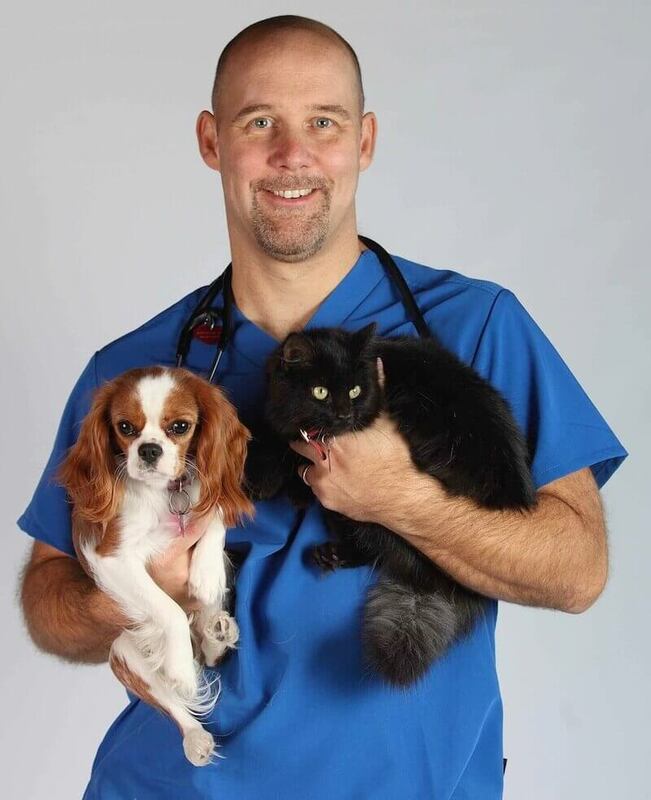 He began offering part-time mobile ultrasound to area veterinarians in 2012 and closed his clinic in 2016 to pursue full-time mobile referral practice. The mobile nature of the practice offers convenient specialty services within the family veterinarian’s office, helping eliminate the stress of travel for both pet and pet owner, and offering truly collaborative care for pets. I have regularly referred my patients to Dr. Kremer since 2002 and have been using his mobile services since 2012. Dr. Kremer is a skilled ultrasonographer and seasoned, board-certified clinician. His mobile services have made internal medicine evaluation of our patients readily accessible in our own practice. His professional, caring and practical approach to patient care is a valuable asset to our clinic. I have been using Dr. Kremer’s mobile sonographic and internal medicine services on a weekly basis for the past seven years. It has greatly enhanced the diagnostic abilities of Anderson’s Corner Animal Hospital. By consulting with Dr. Kremer at our own location, it has greatly improved client compliance and therefore improved medical care for our patients. Dr. Kremer’s services have been a major benefit for Anderson’s Corner Animal Hospital. Dr. Keith Kremer is an invaluable asset to our practice and the entire Hampton Roads area. His mobile service provides flexible scheduling and allows the primary care veterinarian to stay involved with the patient’s care. Dr. Kremer is thorough, extremely knowledgeable, and passionate about his job. He is a wonderful doctor who makes detailed recommendations to allow the pet owner and primary care veterinarian to work together to improve the life of the pet. As a pet owner myself, I trust Dr. Kremer to make the best recommendations for my animals and I am so thankful to have him in our area to help me provide the absolute best care to my patients. I have worked with Keith Kremer for over 15 years. As a skilled specialist in internal medicine and ultrasonography he provides my patients with outstanding care. I love the ability to consult with a board-certified internal medicine specialist in my own veterinary hospital. It allows owners the familiarity of talking to me and be given an extra level of care in the practice that their pet is most comfortable in. Many thanks to Dr. Kremer over the years. His mobile practice has proven to increase the quality of care for our primary care patients and Emergency patients. We are able to develop clear and concise plans with our pet owners based on Dr. Kremer's specific recommendations and options. After viewing many ultrasounds and endoscopic exams Dr. Kremer is very professional and thorough. We would recommend Dr. Kremer's Mobile services to all area primary care and emergency veterinary practices. I have worked with Dr. Kremer for years and he is a great asset to my practice. My clients and I benefit by having their pets seen by Dr. Kremer because he is a board-certified veterinary internist who has expert skills in ultrasonography and endoscopy, and because he comes to my practice, where the clients know the surroundings and where they know that I am working along side Dr. Kremer to help find the proper diagnosis for their pet. I have found Dr. Kremer to be easy to work with, knowledgeable, and very practical. Dr. Kremer makes it a priority to schedule cases as quickly as possible. His services are reasonably priced and I can text him days later about a case when test results arrive, so we can talk about the next best step. I recommend using Dr Kremer to my clients and I enjoy having Dr. Kremer help me make the proper diagnosis on many of my patients. Dr. Kremer has provided our patients with his expertise for 6 years which has enabled us to provide the utmost quality care. His knowledge and services (ultrasound, endoscopy) have proven invaluable over the years and have allowed us to provide these expanded services to our patients locally. His office is extremely easy to work with regards to scheduling and we look forward to a long and continued relationship with him and his staff! Dr. Kremer allows us to offer veterinary specialty services to our patients in a familiar, stress free environment. He is personable, easy to work with and always accommodating. His staff responds promptly to referral requests and urgent care needs. We value his knowledge and expertise. Services offered by Specialist Veterinary Care must be scheduled by one of our veterinarian partners. Our mobile service is available at veterinary clinics and hospitals throughout Virginia Beach, Norfolk, Chesapeake, Portsmouth, Suffolk, Smithfield, Hampton, Newport News, Williamsburg, Yorktown, James City County, and New Kent County. You can enter your Zip Code below to find one of our veterinarian partners near you. If you are a veterinarian interested in partnering with Veterinary Specialist Care, click the button below to learn more and contact us. If you are a pet owner, please contact your veterinarian directly to discuss your pet’s diagnostic needs.